It’s only human to get fixated on our CPU’s, graphics cards, motherboards, cases and the like and forget about the important stuff: the peripherals. I find it hard to get excited about peripherals in the same way I do about the stuff I mentioned above, even so the importance of a good keyboard and mouse cannot be understated. 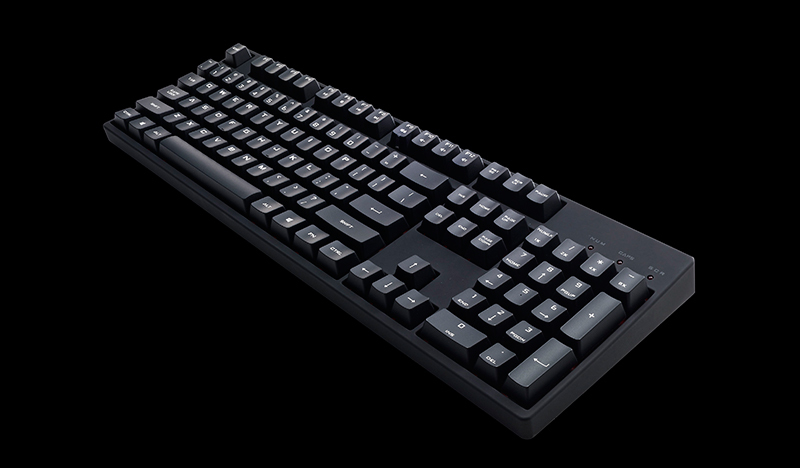 Vendors have recently added more and more bling to keyboards and mice, the Logitech G910 being a prime example. Bring your bling to a LAN party by all means but perhaps you need something simpler, and more clean looking for your everyday home use. 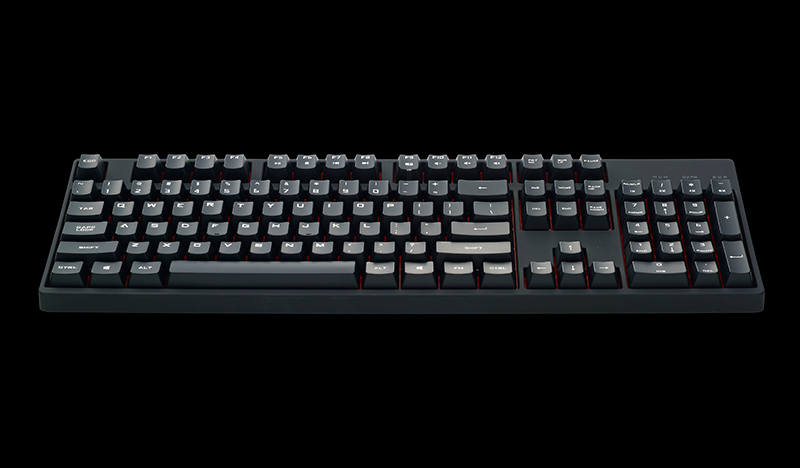 Enter the Coolermaster CM Storm Quickfire XT. The bling is minimal on this one but that’s not an issue, where it is a bit of a “Plain Jane” in the looks department it makes up for it in build quality and feel. In fact it looks very similar to the Func 460 we reviewed back in January with its black and red highlights, raised LEDs for nostalgia and no frills key layout. Let’s get into the most important part, the specs. 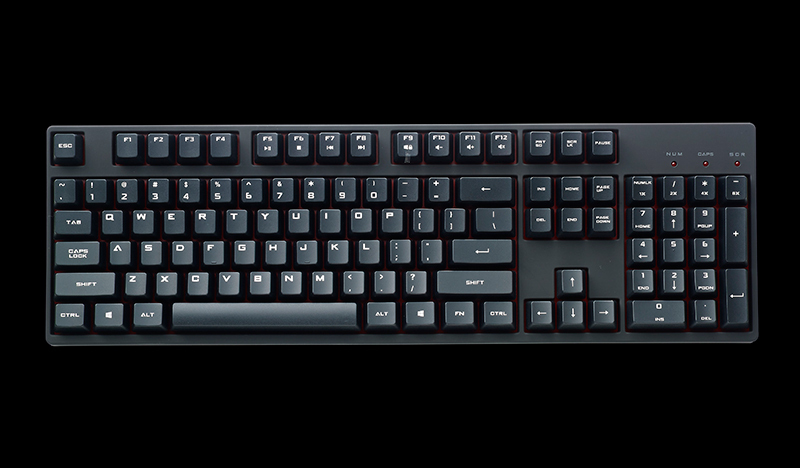 The keyboard sports coveted “Cherry MX” mechanical switches with switch color (red, blue, brown, green) that vary by region, according to Coolermaster. The version we were sent is the SGK-4030-GKCR1 model (Red switch). What’s all this Cherry stuff about then, hey? You might have heard of Cherry Red, I have a funny emotional attachment to those two words. In the 80’s when I was in grade 4, my best friends mum used to come to our school and teach us Computing. Her name was Cherry, she was 5 foot nothing tall with flame red hair. She was the first person to teach me BASIC programming and for that I am forever indebted to Cherry Red! But anyway I digress…. Like the Func 460 and sporting the same Cherry Red MX switches, it’s a noisy sucker, but I like that. The actuation response for me is perfect, In Starcraft 2 I felt I my overall TPM increase marginally (note I am Bronze league so far from a superstar but heck I’ll take any help I can get). 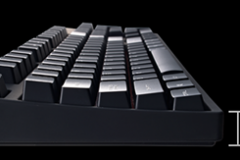 Weighing in at 1.1kg the keyboard is solid and does not move around the table thanks to its weight and large rubber 40mm by 10mm grip pads on the underside of the keyboard. It boasts a steel plate which gives it a potential military application; it would be interesting to test that on the grenade range one day! The profile of the keyboard is compact at only 440mm long, and leaves plenty of room on the testbench, so this is a great unit for those that are space-constrained. 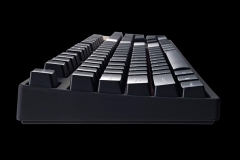 Part of the reason the keyboard is so compact is due to the fact there are no dedicated macro keys like we saw on the Logitech G910. 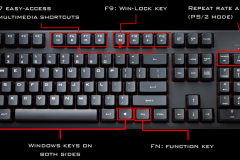 Figure2: The bright red LED on the Quickfire XT ensures you don’t suffer Windows key regret during fragging….. 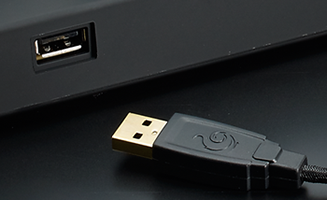 The keyboard is able to be completely attached from the 1.8m USB cable supplied which is helpful if like myself you want to do some tricky cable management to reduce clutter. 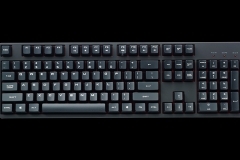 Coolermaster also supply some interchangeable keys that can be used to add highlights, I think the intention is to make your WASD keys red, or perhaps change out the boring Windows key and replace with their cool logo. The key puller tool is handy and especially useful if you plan on doing any tweaks to your keyboard such as adding O-rings, vacuuming up chip crumbs or any maintenance for that matter. 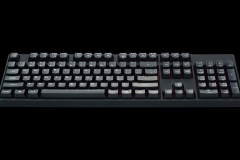 In terms of N-key rollover, Coolermaster provide a PS2 connector for unlimited simultaneous keypress support. Just using the supplied USB connector and Aqua’s KeyTest utility I was able to use my palms to simultaneously press as many keys as I could and could not discern any limitations in this area which was pleasing. One aspect of the keyboard that I do find lacking is that there are no USB ports on the keyboard itself. I realise this is to retain the simplicity and clean lines of the keyboard, however in this day and age I really would prefer a USB port to allow me to plug in a non-powered USB device such as a mouse, headset or USB stick. The keyboard also lacks a backlight and wrist-rest. Neither are particularly important for me as I can touch type like a demon and prefer to rest my wrists on the table, but something to be wary of anyway. 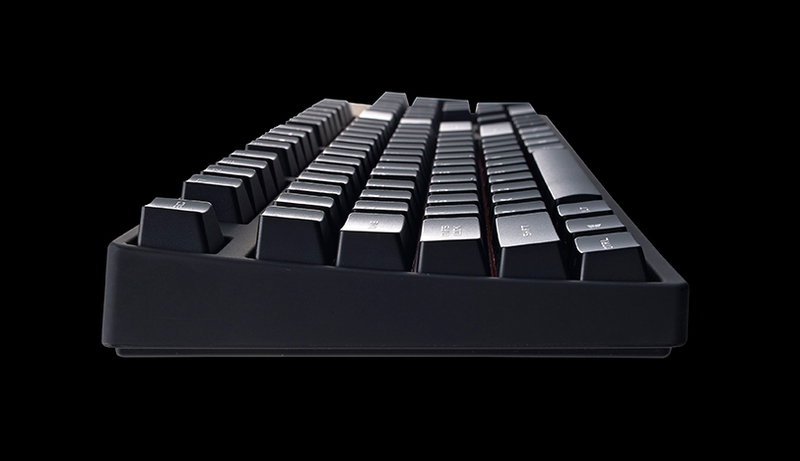 This is a great no-frills keyboard which has excellent build quality and we highly recommend it as a great addition for anyone’s rig, whether they’re a gamer or not. It can be picked up online for between $110 and $130. 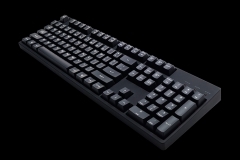 Logitech G910 Orion Spark/Spectrum – What gives?